Information The Oakhill and District Fire Department serves the communities of Oakhill, Whynott's Settlement and Pine Grove. We also cover mutual aid assistance to our neighbouring communities. 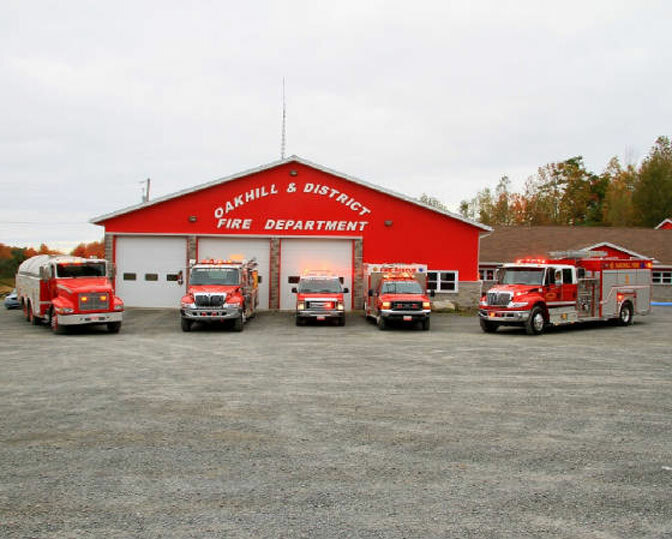 When you call 911 during an emergency, it will be your neighbours who are members of the Oakhill Fire Department and will be coming to assist you. We are committed to providing effective and efficient service to our community. We operate with 4 different appartatuses and have over 30 members whom will respond to fire occurrences, motor vehicle accidents, medical services and whatever other emergency we get called to. Join us every Wednesday evening for a fun evening of acoustic musical entertainment! 50/50 tickets are on sale during the evening! Sunday Books go on sale at 12 noon and play begins at 1:00 pm. Sonic Balls are sold at all Bingos!